Mercer Editions is an initiative of Mercer Union to commission work from Canadian and international artists to benefit its activities as an artist-run centre. Projects under this banner may take different forms that reflect the diversity of artistic practice presented in its galleries and programs. 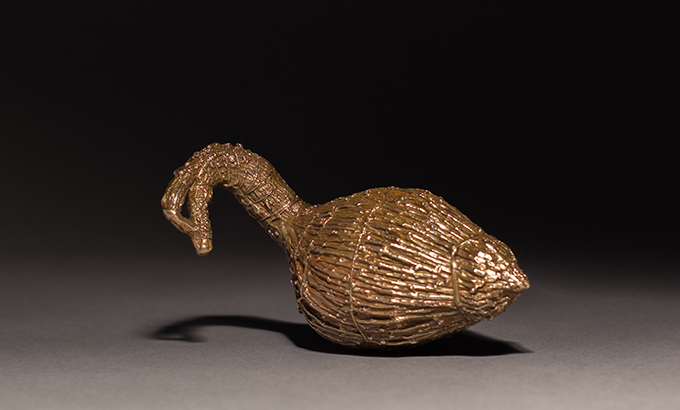 For its second edition, Mercer Union has collaborated with Duane Linklater to produce 12 decoys cast in solid bronze. The decoys are modelled after tamarack versions made by artists in the James Bay, Treaty 9 area. These decoys are not actually used for the annual goose hunt (which is still an important spring and fall event in James Bay), but are instead made for tourists who wish to purchase something ‘authentic’ from Omaskeko Ininiwak people in far Northern Ontario. Proceeds directly support Mercer Union’s programming and operations.